The art of stopping ATO before it starts. Like any work of art, focusing on one single stroke creates misleading interpretations. Learn how to build context around your fraudulent traffic to understand the bigger picture and prevent future ATO. 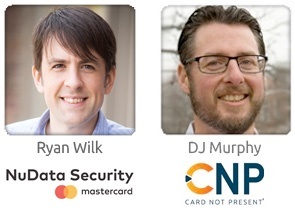 Join CNP Editor-in-Chief DJ Murphy as he welcomes Ryan Wilk, VP of Customer Success at NuData Security to discuss the complexities of account takeover fraud and how to truly stop it before it starts. Ryan Wilk has a wealth of experience in fraud detection, prevention, trust, and safety with globally recognized organizations such as StubHub and Universal Parks and Resorts and, currently, NuData Security.